Caries in adults and adolescents is declining, studies show that in children below 3 years of age, caries has hardly decreased, thereby necessitating the need for finding a new treatment option for kids. Fluoride varnish effectively helps in the remineralization of the tooth surface and prevents the development and progression of caries, says a report from the German Institute for Quality and Efficiency in Health Care (IQWiG). Fluoride varnish is advantageous especially for small children because it hardens quickly. The IQWiG researchers analysed the results from 15 randomized controlled trials (RCTs), in which a total of 5002 children were treated with fluoride varnish, whereas 4705 children received no such treatment. In many studies, further measures for caries prevention in addition to the application of fluoride varnish were offered. These included trainings on oral hygiene, instructions on the correct tooth brushing technique or provision of toothbrushes and fluoridated toothpaste. The follow-up observation period was mostly two years, in some cases up to three years. 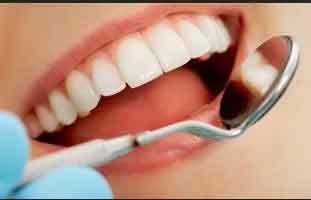 The outcome “caries” and side effects were investigated in almost all studies. Outcomes such as tooth loss, toothache, dental abscesses or inflammation of the gums (gingivitis) were only rarely investigated. The respective data showed no difference between intervention and control group so that no conclusions on advantages or disadvantages of fluoride varnish application could be derived. After application of fluoride varnish carries was found less common than without it. This treatment could completely prevent caries in about every 10th child. And will further reduce progression of caries in children. Apparently, it did not make a difference for the benefit of the fluoride varnish whether the children already had caries or whether their teeth were completely intact.